Redesigned in 2016 by Melbourne Design Studios, this contemporary single family house is located in Melbourne, Australia. 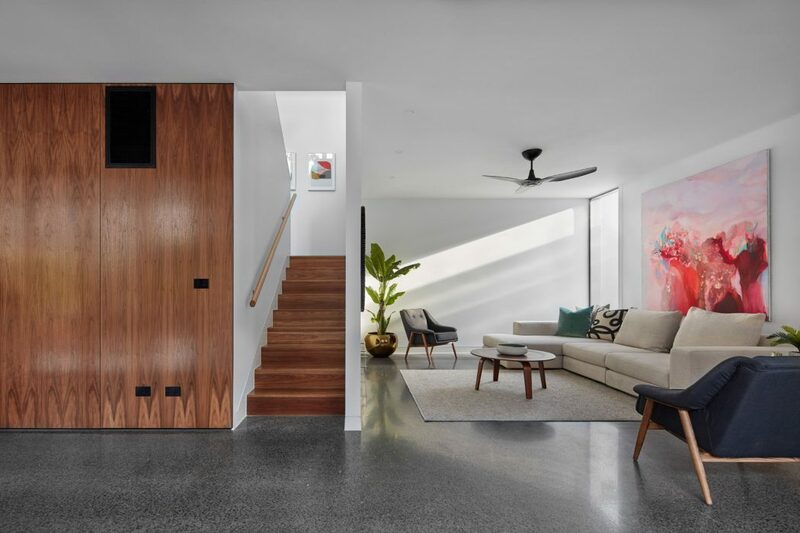 Having been a finalist in the Australian Sustainability Awards 2016 and a winner in the BDAV Awards 2016, this project is a great example for Melbourne Design Studios’ adaptability and creativity : Given a brief for contemporary new residences for a development, the team also took on the dilapidated heritage home on the allotment, transforming it into ?Waltham Jewel?, one of Richmond?s finest homes. MDS director Marc Bernstein?s plan for the Victorian-era home took the developers on an unexpected journey. ?The home was initially a leftover piece of the equation that the developers just weren’t really interested in. Ultimately, they were amazed by what we made of the house and that it could actually be, not only commercially attractive, but also a really beautiful piece of architecture.? Bernstein?s team set to work removing a series of timber lean-tos on the back of the home, transforming the four generous front rooms into formal living, two bedrooms, generous bathroom, and study.